I first heard about Soylent in February of 2013. It’s “essentially a potion that contains all nutritive essentials”, my friend said, emailing me a link to How I Stopped Eating Food, the blog post that started it all. A complete, all-in-one meal drink? I thought it was a cool idea. I’ve always been a fan of Michael Pollan (The Omnivore’s Dilemma is an amazing book), eating a mostly Paleo diet, buying organic and local when possible, and skeptical of reductionist approaches to nutrition. But I thought it sounded like a fun thing to try – “like the equivalent of polyphasic sleep, but less painful”, I told my friend. So when the Soylent funding campaign came online in May of 2013, I didn’t hesitate to drop a few hundred dollars to support the cause and pre-order a month’s supply of the nutritionally complete powdered drink mix. By the time 2014 came around, I was eager to put Soylent to the test. Would I have more time to pursue my hobbies and side projects if I didn’t have to cook or wash dishes? How much money could I really save in grocery bills? But numerous manufacturing delays meant that it would be months before anyone got their hands on the stuff. In May of 2014, one year after I became a backer of the official Soylent funding campaign, I decided to help out @marion, another Soylent backer on the forum, by designing a custom blend for her (Marion Chow!) and shipping her two weeks’ worth. Soon I was flooded with requests by other backers eager to buy my homemade soylent. So here I am! 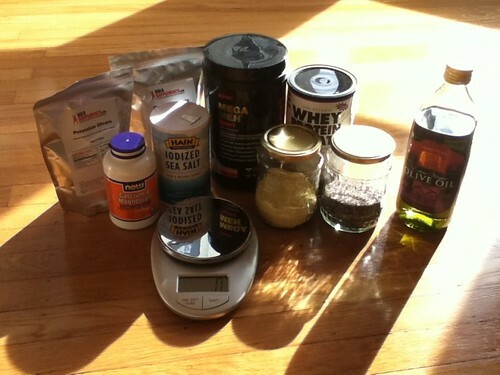 :) No longer just “homemade soylent” – now I’m making Custom Body Fuel to help fuel some bodies and free some lives. Including my own. I made this website so you can easily order my most popular recipes, request a custom blend, or get answers to your questions! And if you want to talk more, please feel free to contact me.